So I made this little song (ditty) up while vacuuming globs of dog hair from every square inch of my home's first floor (plus furnishings). I'm sharing it because unless I do (release it from the fun house that is my brain), it will end up being 97 verses long, and I'll need to count backwards and breathe into a paper bag. Cats are cool. Cats are cool. They are so cool they should teach it in school. Cat are cool. Cats are cool. They eat their own fur and they hardly ever drool. hum hum hum. la la la. Nuh nuh-nuh nuh-nuh and they won't jump in your pool. 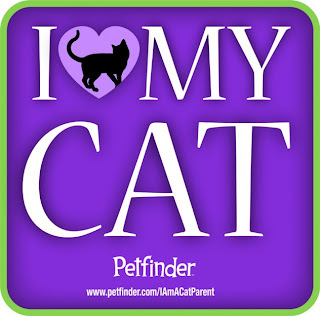 Be sure to tune in next time when I clean all four of the litter boxes, singing my newest ditty titled DOGS ARE GREAT! That's not a joke. Just wait. P.S. Feel free to add your own cats-are-cool verse in comments. P.P.S. 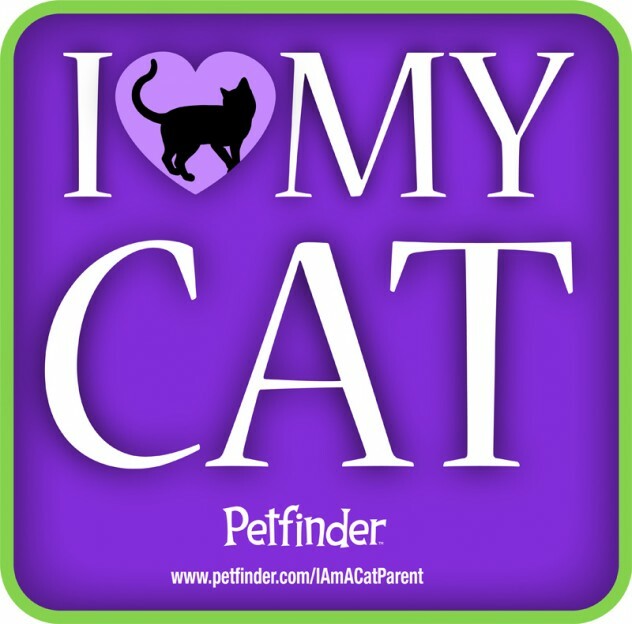 (added 4/14/13) If you liked this (or want to adopt a new kitty of your own), there are WAY more reasons why cats are cool at Petfinder, whose "I Am a Cat Parent" awareness campaign is in full swing! Go there! You are a great songstress. This song will catch on, we are sure. In fact we are singing it already! We have tumbleweeds of fur all over our house too. We pretend not to see it. 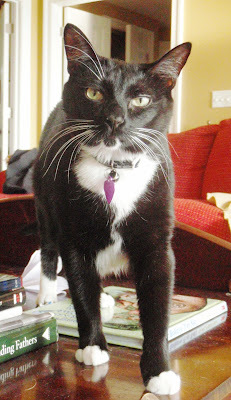 Miaow! My you should see our pad.....vacular is always out getting rid of the tumbleweeds. Dog R Cool........can't wait for our version. Have a terrific Thursday. You got that right... we are cool. Loll too good.... Have a tune in my head for this! We are looking forward to your next song too! You have a wonderful creative mind and I am glad you share it with us! I love this blog! ROFL! You never fail to make me smile or laugh.